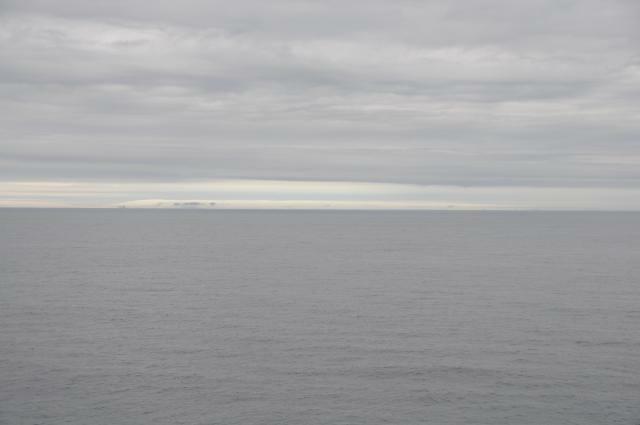 Our course to the North Pole passed through Franz Josef Land, which we'd stop to visit on the return journey. 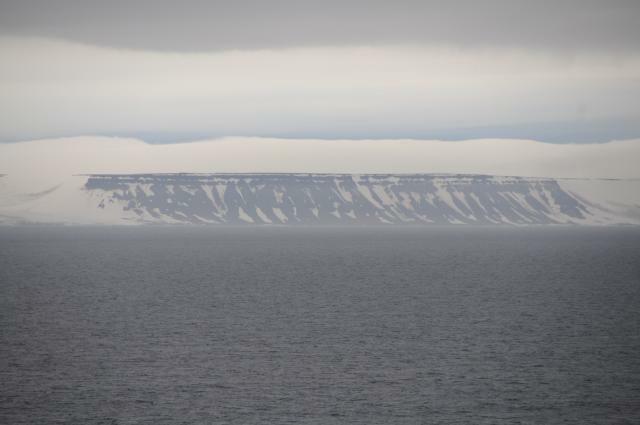 The weather was reasonably clear by the standards of the High Arctic, and we got some tantalising glimpses of various islands as we passed them northward bound on the afternoon of July 22nd. Most of the islands of Franz Josef Land are largely covered by glaciers which flow down to the ocean and “calve” icebergs into the sea. 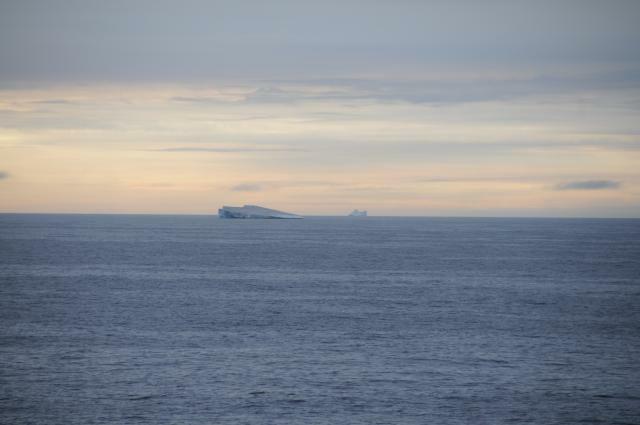 Here are two icebergs, one in the foreground, another in the distance, passing one another from our perspective. Connoisseurs of marine ice would probably prefer to designate modest sized chunks such as these as “bergy bits”, but when they're the first ones you've seen, they're impressive enough. 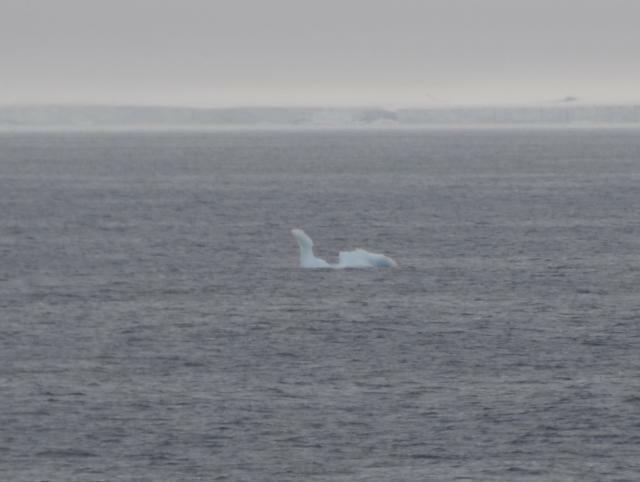 Bergy bits can take on fanciful shapes: here's one that reminded me of a rubber ducky. 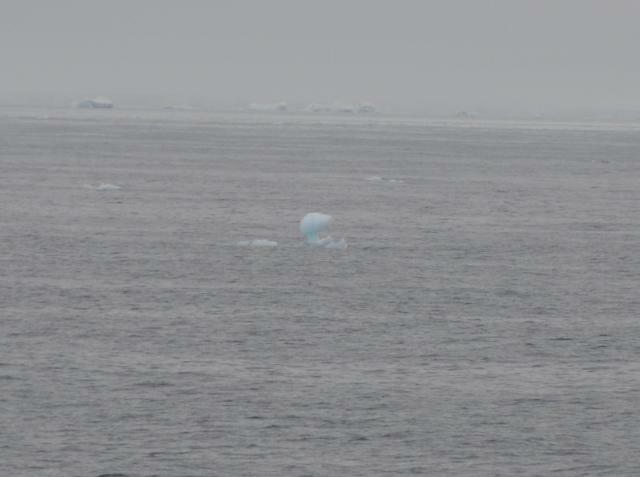 The beautiful pale blue colour is characteristic of compacted ice in which the salt has been forced out, leaving fresh water. 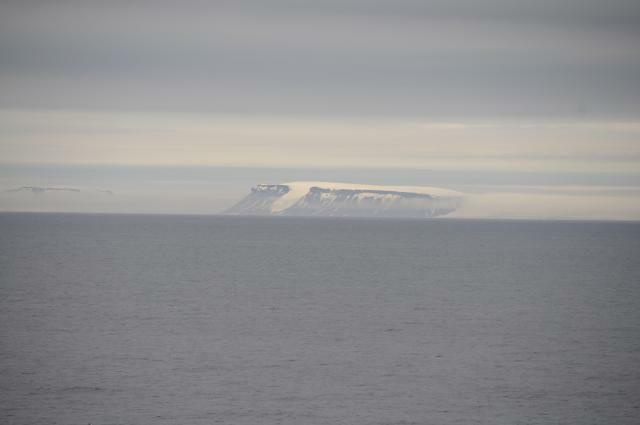 And here we have a bergy bit that looks like Nessie! 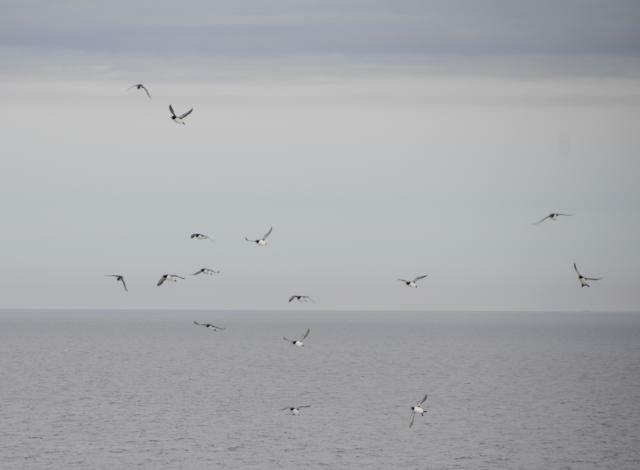 Franz Josef Land is home to many species of marine birds. These are Brünnich's Guillemot (Cepphus grille) which, on land, look somewhat like penguins. 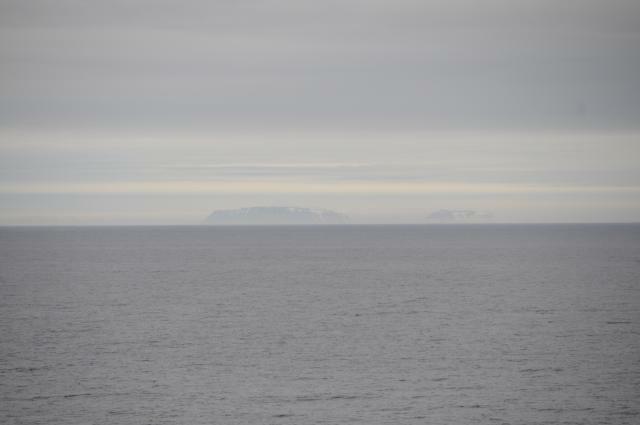 Unlike penguins, they fly, and shadowed the ship on our passage through the islands where they nest in the Arctic summer. 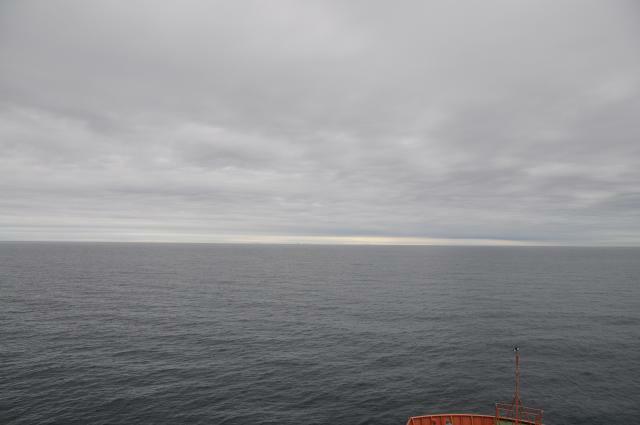 From Murmansk to Franz Josef Land, we'd been in open ocean, but during the passage through the islands we encountered our first sea ice. 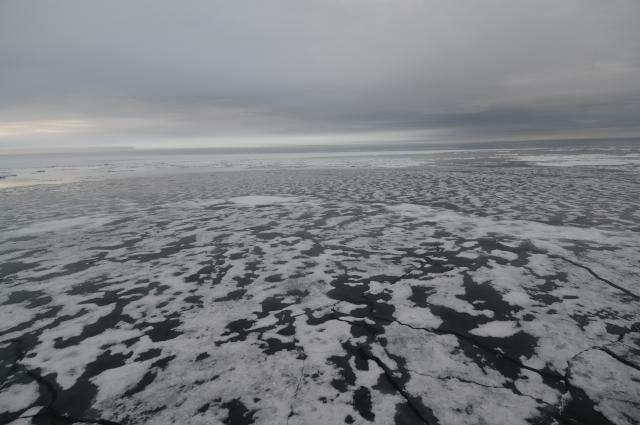 Except for leads (gaps between ice sheets) and isolated patches of open water, we'd be in the ice all the way from here to the Pole.